The princess of the Okawahara Corporation. She is extremely tomboyish, examples of this being when she bravely punches Tsukasa and when she bit his earlobe, but is sometimes girly. 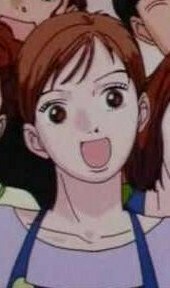 At first, Tsukushi is very angry with her because of her engagement with Tsukasa, but after Tsukushi sees her innocent and kindness toward her, she accepts and helps her, although she sometimes gets mad seeing Tsukasa and Shigeru together. In the end, she realises that Tsukasa will never love her and so decides to get her two friends together.